Meet Our Final Two Ambassadors for 2018! 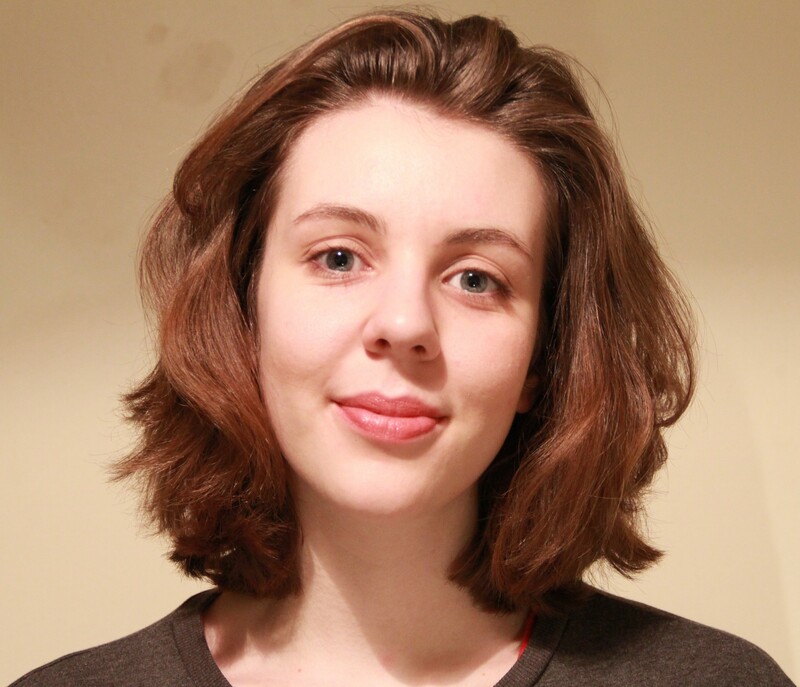 I am a recent graduate of Queen Mary University of London, where I graduated with First Class Honours in Drama last summer and I currently work as an Arts Fundraising Intern at the Royal College of Music. I have been interested in costume history since my early teens (when my obsession with period dramas was at an all-time high) and I began to realise that I was more interested in the clothes on screen than anything else! My degree only fed my penchant for historical costume and dressing up, and I soon discovered an academic interest in clothing as a means to communicate cultural and societal values – how the past is in fact ‘performed’ by the clothes worn at that time. I have a particular interest in historical undergarments and their relation to gender roles, with a focus on corsetry of the late nineteenth and early twentieth centuries. However, my true love is the eighteenth century, in all its bawdy glory. From court mantuas to embroidered waistcoats, the period’s silliness and sheer range of styles (the genteel to the downright bizarre) wins me over every time. The Costume Society ambassador scheme offers me the opportunity to improve my writing, learn more about dress history and meet people who share my passion for frocks! My name is Valerie Wilson. Born and raised in Belfast, I now live in Ballyclare, County Antrim. I think a love of costume and textiles is in my genes. My father, brother and aunt all worked for a Belfast textile firm. My mother started work, aged 14, as a stitcher in a shirt factory. My paternal grandmother was an expert embroiderer, and my mother-in-law worked for many years in a local yarn spinning mill. One of my favourite childhood memories is that of receiving a small sewing machine as a Christmas present. At my second school I developed a keen interest in both art and domestic science and I have always loved fashion (up until my teenage years I bought the ‘Bunty’ comic every week, for the cut - out doll with clothes on the back page). 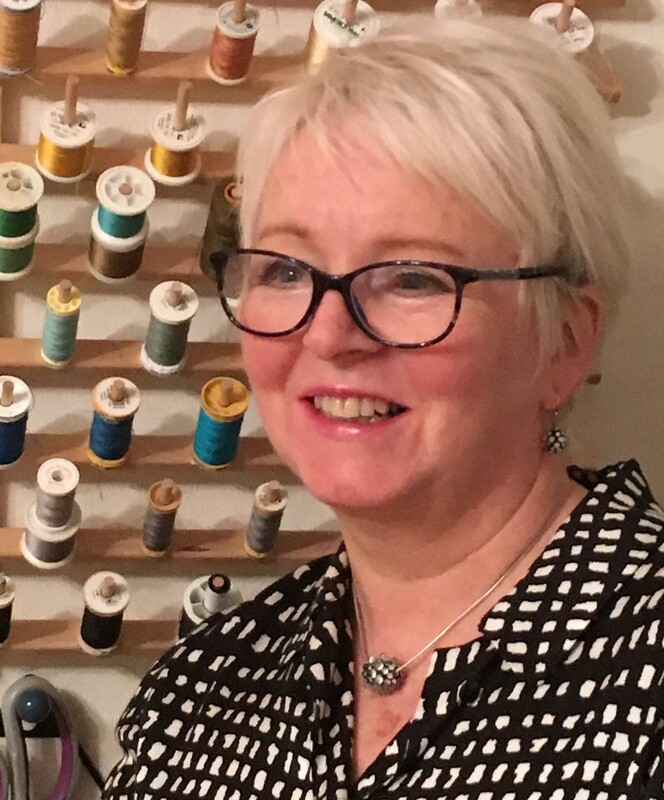 I followed my interest in Fashion and Textiles to Art College in Belfast where I graduated with an Honours degree in Textiles/Fashion (embroidery) in 1979. I became interested in historic textiles and costume during my final year at Art College, after studying some of the extensive collections at The Ulster Folk and Transport Museum. I joined the museum’s staff shortly after graduation and have worked there ever since, apart from a few years in the mid-1980s when I worked as a freelance designer of costume and furnishings. I became Curator of Textiles for National Museums NI in 2010 with the responsibility of curating a large collection of costume dating from 1770 to present day. I have a particular interest in construction methods used in costume and in mid-twentieth century design for fashion and textiles. Recent collecting for the museum has included acquisitions relating to drapery retailing and in developing a collection of costume for dance performance. As a Costume Society Ambassador I’m looking forward to revealing the fascinating stories of ‘behind the scenes’ at the museum and forthcoming exhibitions, as well as exploring other collections and exhibitions from further afield.